In this series, columns in a deteriorating colonnade will be modeled by several methods. (1) Whether the polyline is open or closed: Open polygons and curves always create surfaces but closed polylines and curves can create either. 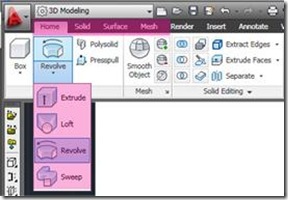 (2) Which tab is active at the top of the ACAD workspace (See Figure 1) – If the Solid tab is active, a solid is created; if the Surface tab is active, a surface object is created; if the Home tab is active, by default, a solid is created from closed polylines (this default can be changed once a command is active by entering ‘M’ for Mode at the prompt) – Solids seem to translate into the COE format and import into Cyclone much better than surfaces, which sometimes will not show up in Cyclone at all in the COE format. 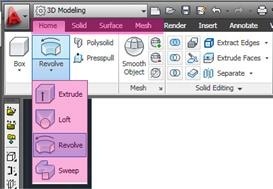 Figure 1 – Main ACAD toolbar with modeling tabs highlighted in Magenta; EXTRUDE, LOFT, REVOLVE, AND SWEEP exist on each of the modeling tabs. Which tab is active and whether the polyline is open or closed determines what type of object is created. SETUP ACAD MODEL SPACE – CONT. 4. Hide Regions to isolate first feature to be modeled, in this case, the colonnade. Method 1: Slicing Cross Sections and Lofting - Point Clouds may be sliced to view specific sections or profiles to model; these slices are made across the x, y, or z axis based on the current UCS. Slicing large areas is useful when looking to see which features are the most intact/complete across a site. Slicing small areas allows for precise drawing/modeling. In this method, a column will be sliced and the section’s profile (ie: cross sections) will be traced and lofted into solid or surface objects. In the first example, the column is sliced 3 times on the y-axis. Tracing the slices creates 3 polylines representing the section cuts from the bottom, middle, and top sections of the columns -> These cross sections will then be lofted to one another, forming the modeled column object. II. 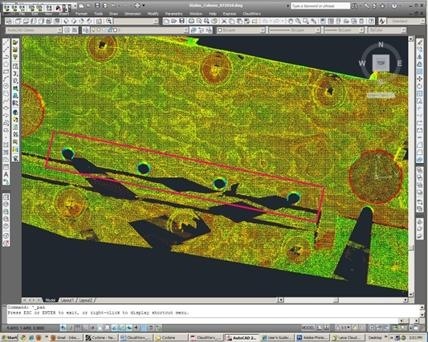 Use the CloudWorx Slice Toolbar to slice the point cloud along the y-axis as the first section cut at the bottom of the column. Slices can be made in several ways. NOTE: a slice must be named in the Cutplane Manager (main Cloudworx toolbar) in order to be saved; if unnamed, it will be deleted once it is deactivated!!! TIPS for lofting: Attempting to loft more than 2 complex cross sections, such as highly detailed tracing, may freeze the program or take large amounts of time. If this happens, try lofting 2 polylines at a time to create separate objects and then grouping or converting these separate objects into a single surface or solid object as needed. Retaining the original geometry (ie: the polylines through DELOBJ) and using layers is essential to dividing the lofting command into manageable pieces; to join multiple objects -> NOTE: although multiple objects can be joined together into a single object with the UNION command, objects that have been united do not seem to translate into COE files well; if you have used the UNION command and find importing the COE file into Cyclone is slow or unsuccessful, try the original objects, pre-UNION (this is another case in which retaining your original geometry is very helpful). Please cite this document as: Stevens, Caitlin. 2011. 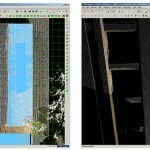 Modeling an Irregular Feature from Point Cloud Data – Method 1.CAST Technical Publications Series. Number 7336. http://gmv.cast.uark.edu/modeling/software-visualization/autocadrevit/workflow/leica-cloudworx-and-cad-workflow-for-modeling-between-programs-2/. [Date accessed: 22 April 2019]. [Last Updated: 22 March 2018]. Disclaimer: All logos and trademarks remain the property of their respective owners.